Chile-born Ricardo Villalobos learned very early that there are few but essential ingredients for a good party. Reviving the South American percussive vibe while living in exile due the Pinochet coup, Villalobos’ parents set young Ricardo an example of an innocent approach to music led my emotional reaction. 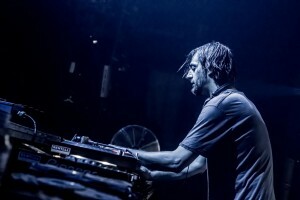 Metaphorically, music is for Ricardo Villalobos like a language at which he prefers a clear enunciation with a smooth resonance that roughly delineates his sound aesthetic characterised by minimal nuances with maximum impact. His marathon sets are driven by emotional impetus that once begun with legendary parties at the basement of his parents’ house where among many others a young 22 years old Carl Craig was playing a twelve hour set while Villalobos Senior was watching TV in the fogged living room. 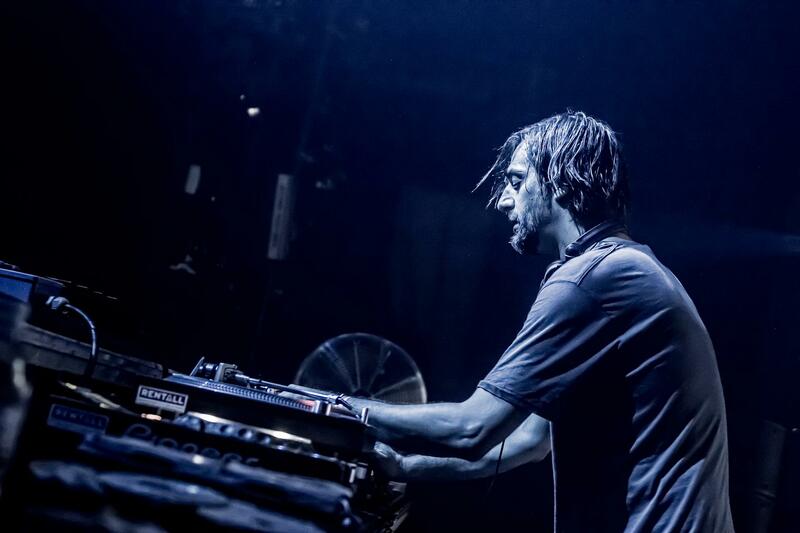 Ricardo Villalobos doesn’t consider himself as a leader rather than a member of a movement that he significantly influenced by his charisma and conviction of the rhythmic infinity. The ideology that there are more things in common than differing between international scenes, may have attracted Minas Balcioglu alias Mini Bashekim and Ricardo while Minas was listening to records at Neuton Frankfurt at the end of ‘90s. As one of the protagonists of Istanbul’s electronic music scene, Minas early led the S.O.A.P. System crew, established Istanbul’s house and techno nucleuses like Magma, Godet, A.D.A. Project, Red Room, Godet Disko/Penthouse, Edgar G., Teremin Bulusmasi and MiniMuzikhol that celebrates with Minifesto its fith anniversary as wells Minas’ 40th Birthday with friends around the globe. 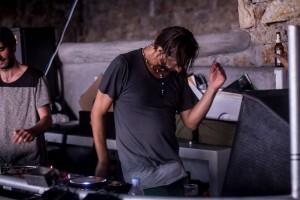 Robert Johnson’s Ata once said that he doesn’t know a good DJ without a strong sense of taste, a statement that supports Minas’ affection for culinary art by running Datli Maya in Cihangir and Pufur Meyhane at Suma Beach which will get international company by Berlin’s Katerschmaus and Frankfurt’s Club Michel. So good food, good music what you want more? 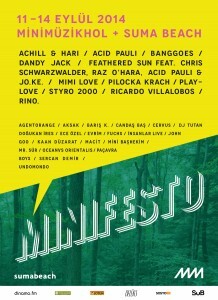 Minifesto will start on 11th September at MiniMuzikhol and continue at 12th and 13th September at Suma Beach. Further artists: Achill & Hari, Acid Pauli, Agentorange, Aksak, Baris K., Banggoes, Candas Bas, Cervus, Dandy Jack, DJ Tutan, Dogukan Ires, Ece Özel, Evrim, Feathered Sun (feat. 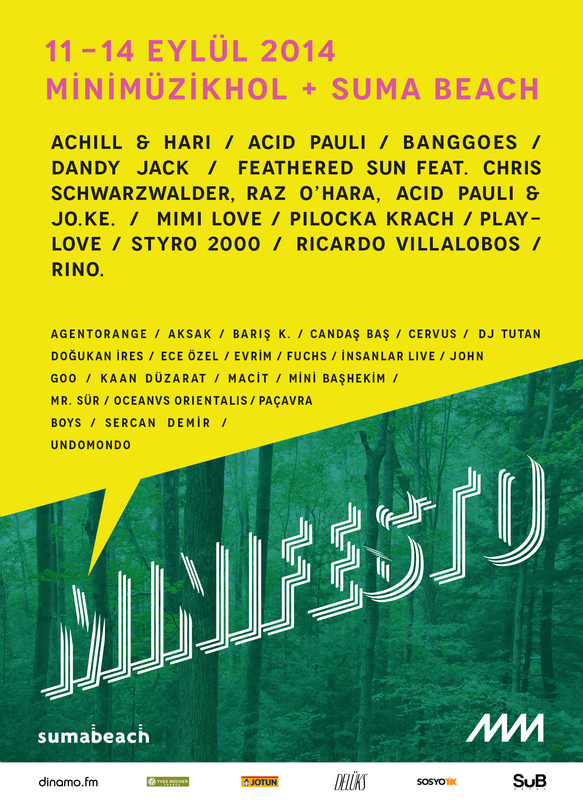 Chris Schwarzwalder, Raz O’Hara, Acid Pauli and JO.KE), Fuchs, Insanlar Live, John Goo, Kaan Düzarat, Macit, Mimi Love, Mr. Sür, Oceanvs Orientalis, Pacavra Boys, Playlove, Styro 2000, Rino and Undomondo.